Journal of Haematology and Clinical Therapeutics is a triannualy open access, peer-reviewed journal providing an international platform to publish eminent research work from all over the world by renowned research scholars, therefore aiding in enhancing the quality of the journal. The journal aims to commit to high standards by publishing quality work in the field of haematology. The journal aims to publish original research articles, case-reports, review articles, commentaries, short-communication, letter-to-the-editor and various other types of articles on advanced and rare research work. It will focus on basic as well as high-end research work enabling a progressive view of today’s world of technological revolution which in turn is aiding the break-through research in the field of science. 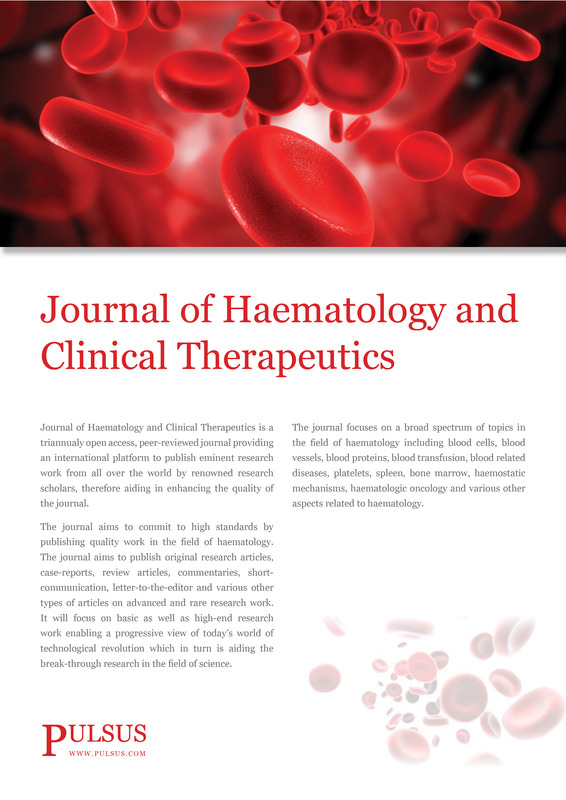 The journal focuses on a broad spectrum of topics in the field of haematology including blood cells, blood vessels, blood proteins, blood transfusion, blood related diseases, platelets, spleen, bone marrow, haemostatic mechanisms, hematologic oncology and various other aspects related to hematology.